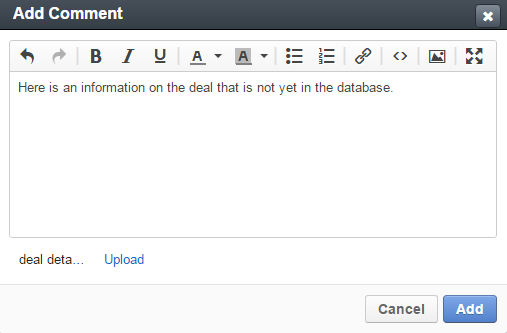 You can add a comment to a task directly from the view page of a related entity. 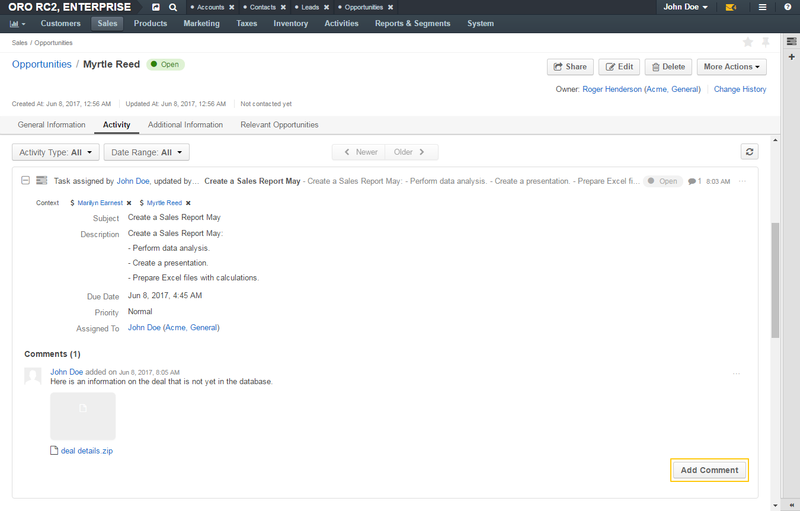 In the Activity section, choose a task to comment, and click it to see details. Click the Add Comment button in the lower-right corner. Your comment appears in the Comments section of the task details.